In many respects, Bel Air sets the standard for luxury homes. The mansions that you will find scattered throughout this neighborhood are unlike anything else that can be found throughout the United States. When people make their millions, they know they want to reside in Bel Air. This is the community in Los Angeles where you can find a true dream home — a property that includes everything you could ever imagine in a house, and then some. Currently, the Bel Air real estate market is teeming with life, possibility and opportunity. There are many homes for sale in Bel Air, most of them consisting of grand mansions with opulent features and state-of-the-art amenities amidst the stunning estates. It’s not uncommon to find a home for sale in Bel Air that includes panoramic views of the city, a complete in-home fitness center, gourmet kitchens, resort-style infinity pools and picturesque gardens complete with fountains, gazebos and quaint trails. If you are searching for a one-of-a-kind luxury home, then Bel Air is the place you want to be. The Bel Air real estate market can be volatile, given the high-end properties that are located in this region. At some points, the market can be so hot that homes stay on the market for a matter of moments, but in other seasons, it can be slower. However, this is largely due to the fact that the people purchasing these homes are searching for an absolutely perfect property that they cannot find anywhere else. Homes range from a mere $1 million to as high as $48.5 million, depending on the neighborhood. Currently, sales prices are decreasing in Bel Air, which makes it an ideal time to buy. Bel Air is renowned throughout the Los Angeles area, and local residents recognize three neighborhoods within the community. East Gate Bel Air is the smallest neighborhood, known for its historic nature and affluent atmosphere. Most of the homes in this neighborhood were built prior to World War II. West Gate Bel Air and Upper Bel Air include newer construction homes, including the most impressive and modern architectural feats. 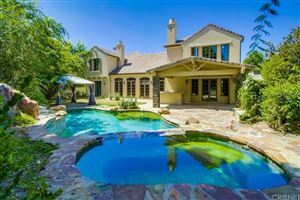 The Bel Air economy is anchored by the entertainment industry, and the neighborhood has become the perfect location for many of the movies and TV shows that are filmed in Los Angeles. There is one public school in Bel Air, as well as one charter school available for residents in the community. However, there are five different private schools available for homeowners who prefer this path for their children. There’s no place else in the world quite like Bel Air. It is an exclusive and elite community, but it’s by no means unreachable if you work with the right luxury real estate team. To begin your search of the Bel Air homes for sale, contact Luis Pezzini. We are the luxury specialists who have the experience you need in order to find a dream home in Bel Air. Call us now.